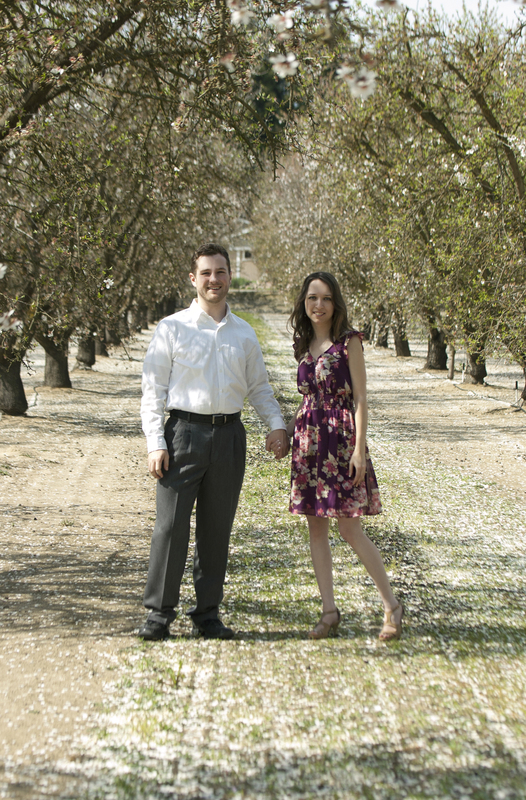 Last weekend we took a drive out into the California valley, and had a mini engagement shoot in an almond orchard. We were a little late in the blooming season – most of the blossoms are at their peak around mid February, but we were able to find one area that still had some pretty white petals. 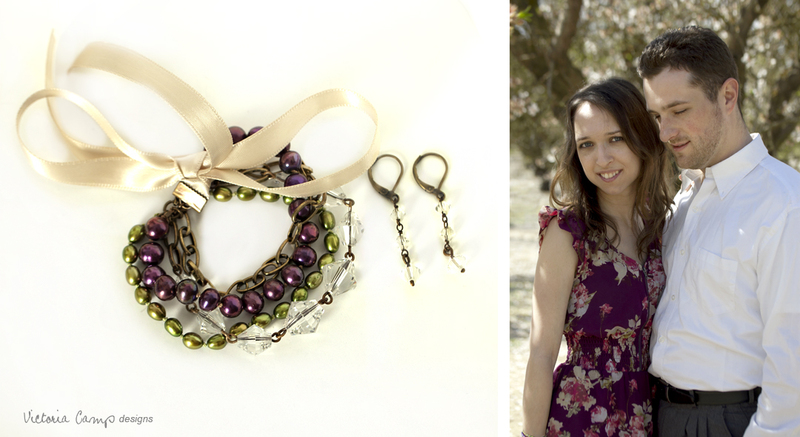 Of course, I made myself a bracelet and earrings set to match my dress! 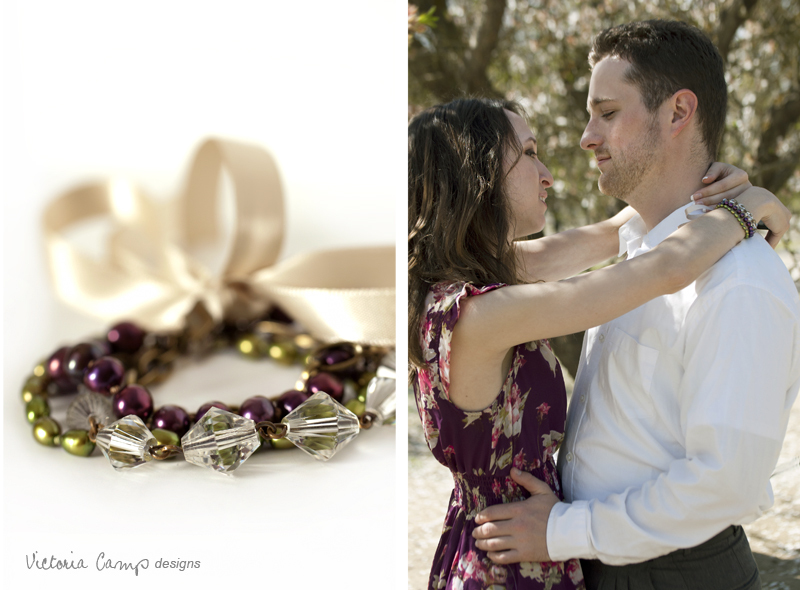 The bracelet is multi-strand and features beautiful vintage glass, olive and plum freshwater pearls, and large link brass chain, all finishing with an ivory satin tie-up ribbon. I made some petite vintage glass drop earrings to go with it. The bracelet and earring set..
A close-up with the bracelet, and a different image where you can see it in action! 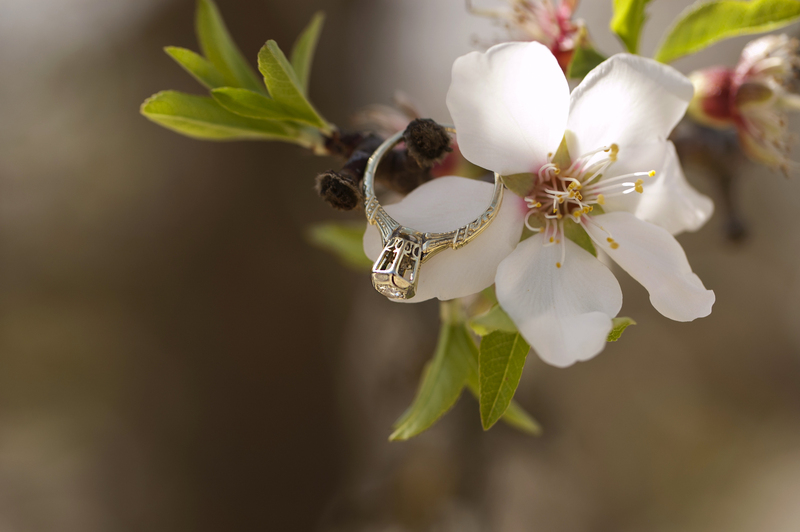 I absolutely had to take a photograph of my beautiful engagement ring (an Edwardian antique) over one of the almond blossoms in the orchard! Most of the blooms here had already fallen, giving way to the little green leaves, but you can see there were still a few hanging on. The ground was filled with flower petals.. they were dropping right before our eyes! There were LOTS of honeybees buzzing about. 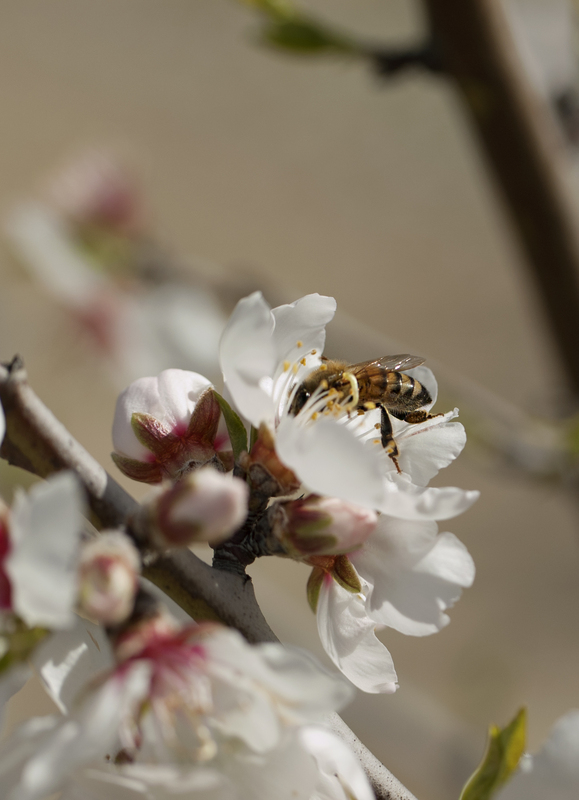 I’m daydreaming about almond blossom honey..Mmm. 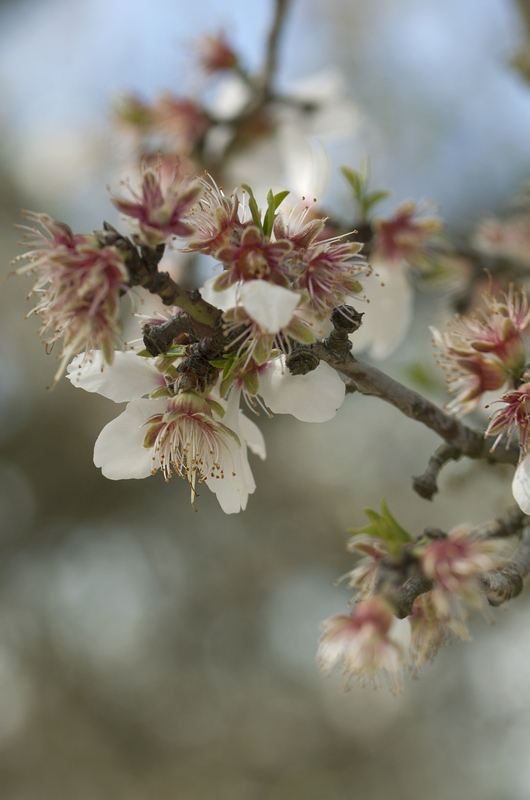 This is my favorite time of year – spring is well underway in California!